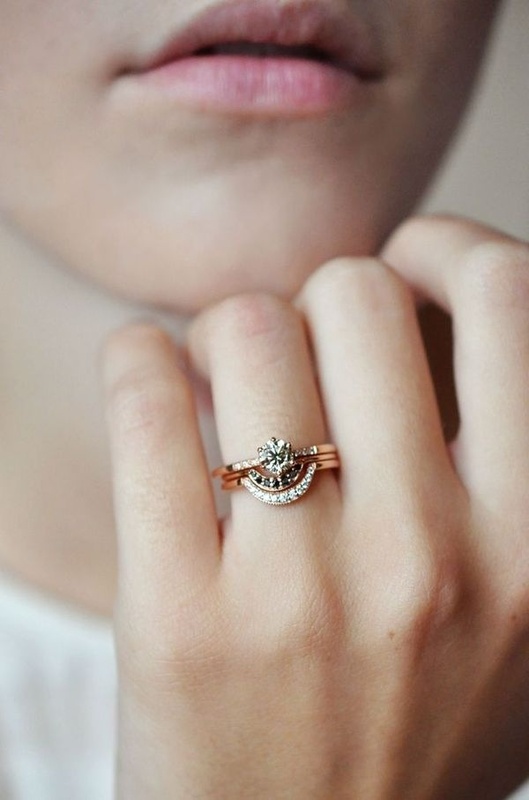 Etsy. 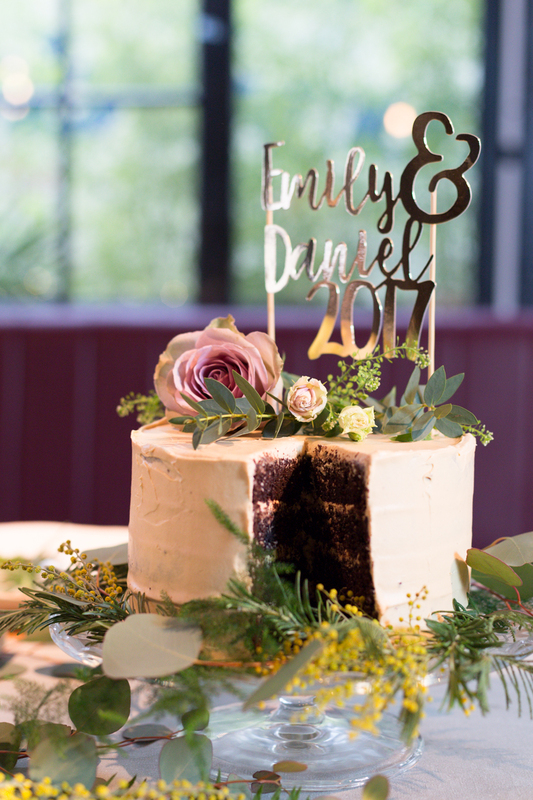 Yep. 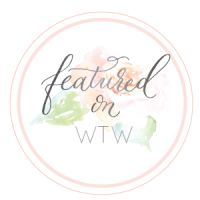 Massive etsy fans over here on the wtw blog. 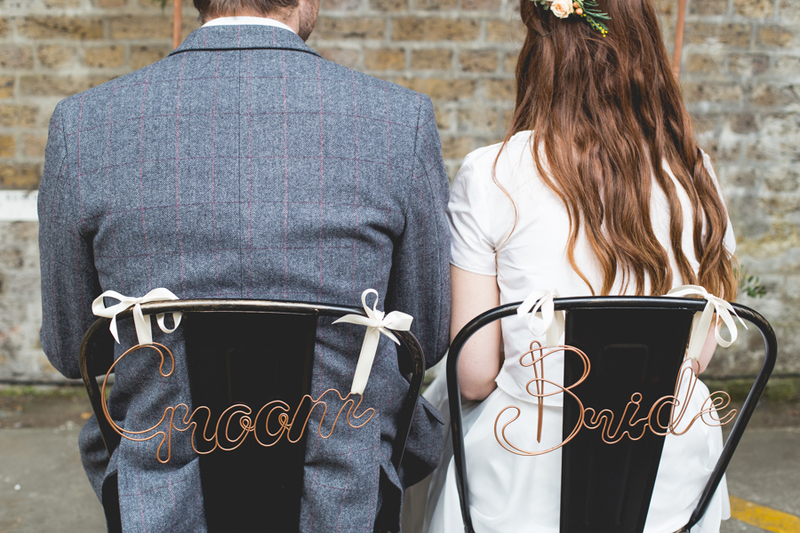 If you’ve never come across etsy, it’s a fab place where artisanal suppliers can set up shop to sell their creative wares, and they have a whole treasure trove of gorgeous wedding related items from wedding dresses and veils to stationery and decor and everything in-between. 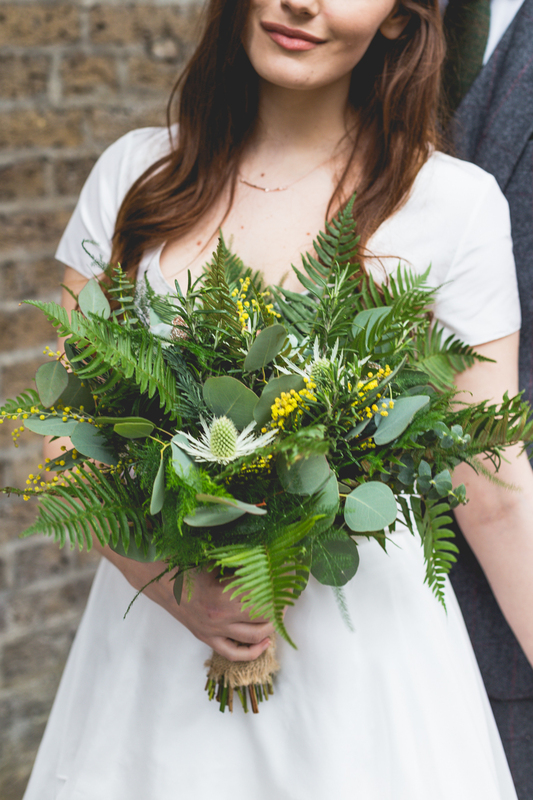 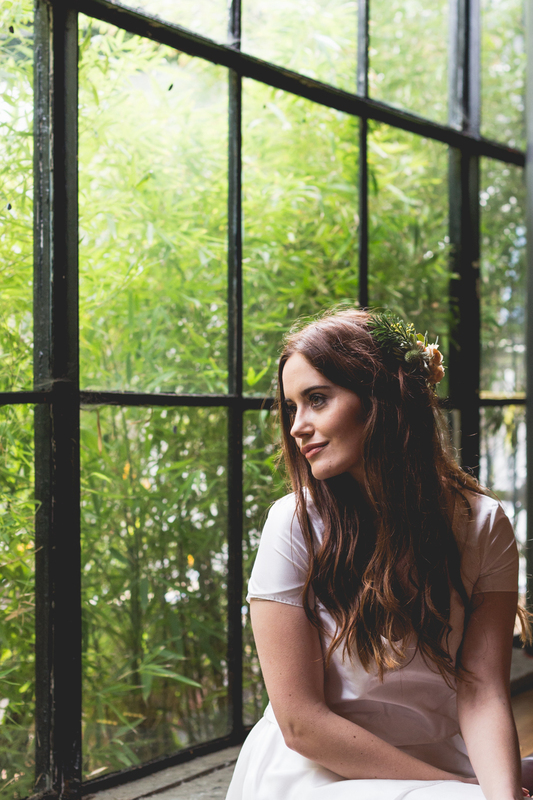 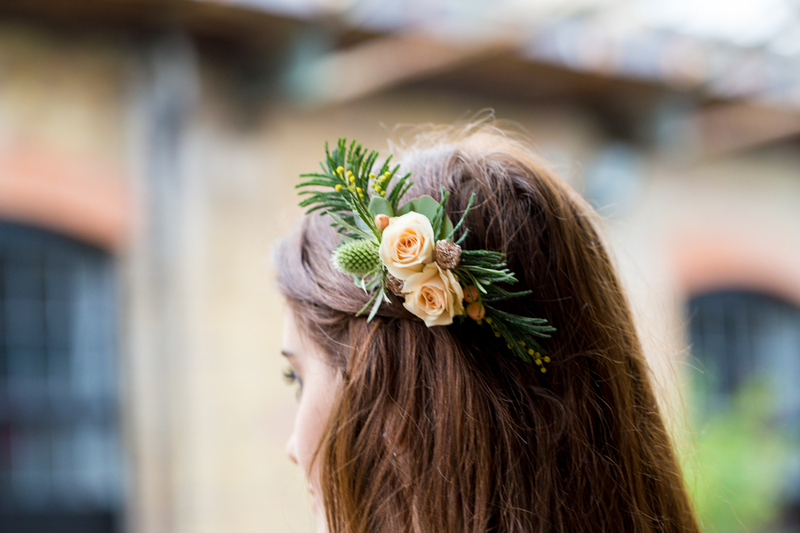 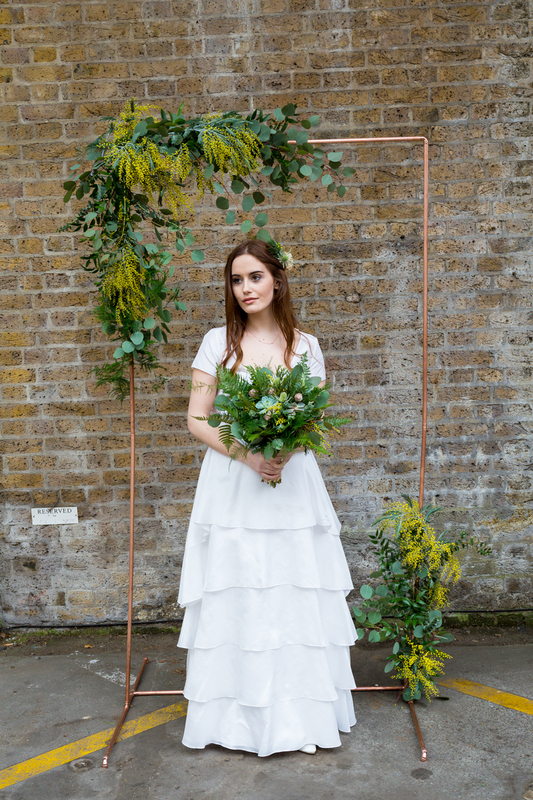 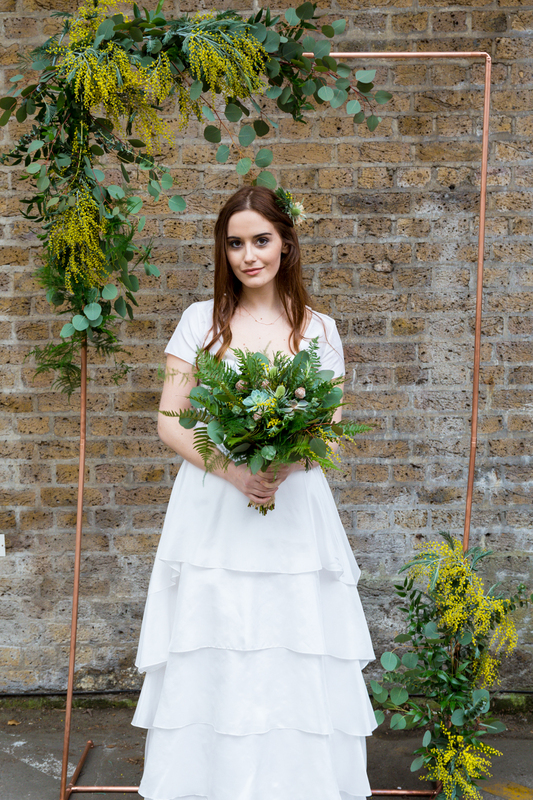 So imagine our delight when submitted this lovely industrial, botanical-inspired bridal shoot featuring some very talented London based etsy supplier indeed. 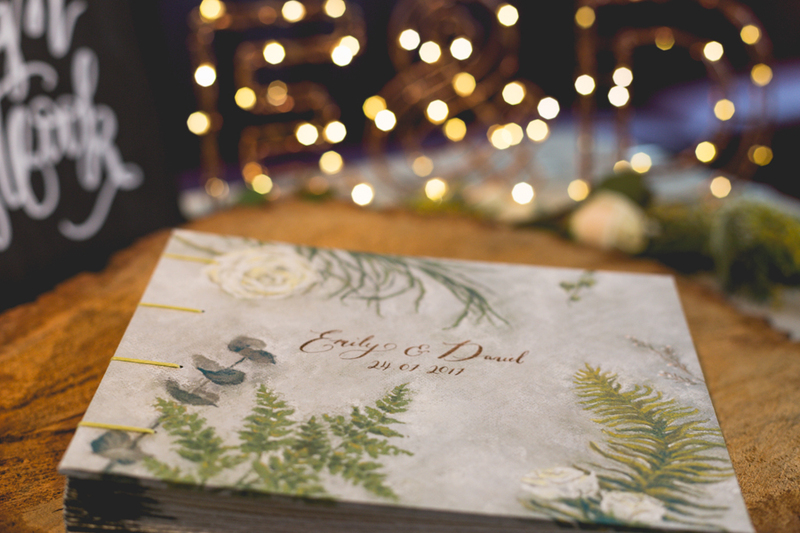 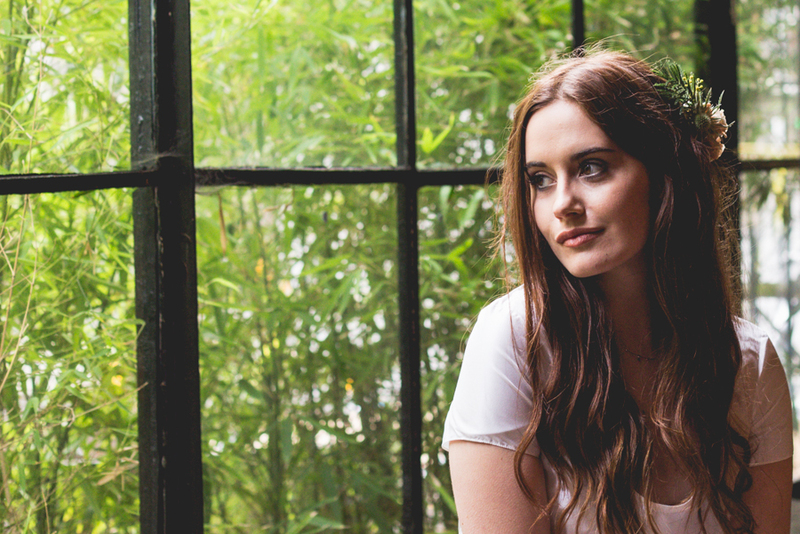 Words and images by Lucy Long Photography. 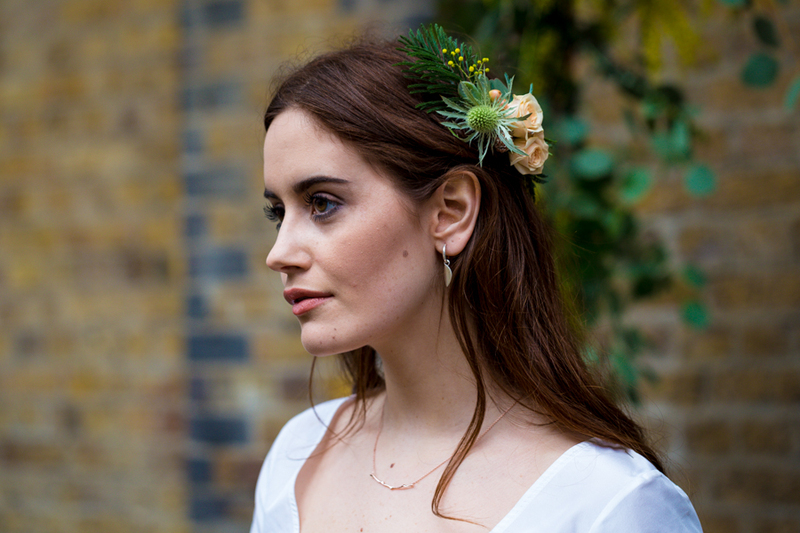 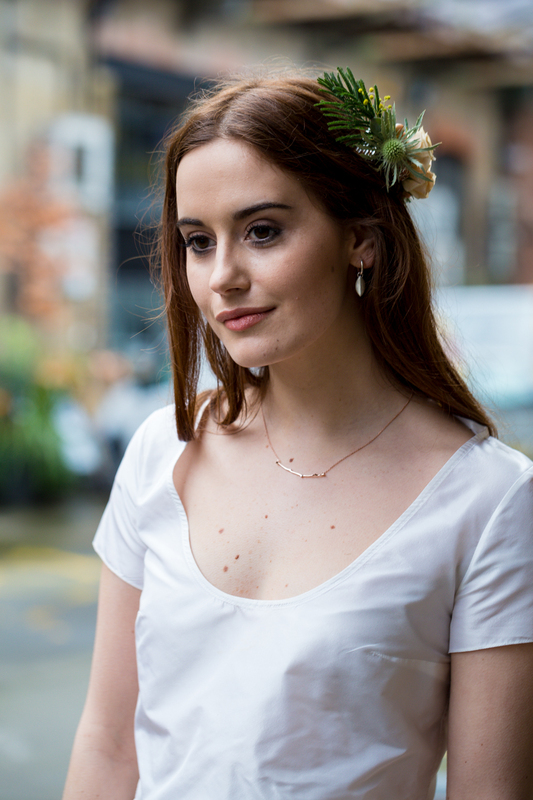 I’m a big lover of all things unique and handmade, so when London Local Weddings, a collective of London based Etsy designer-makers asked me to collaborate with them for a styled shoot to launch their collective, I jumped at the chance. 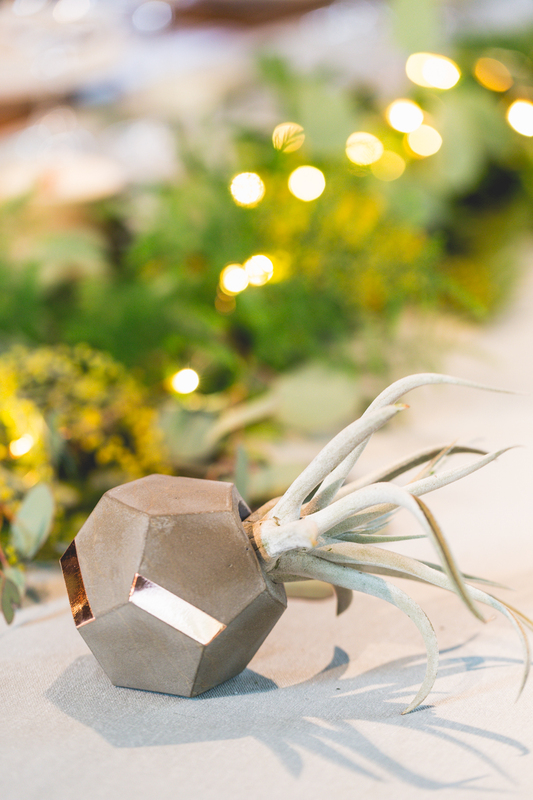 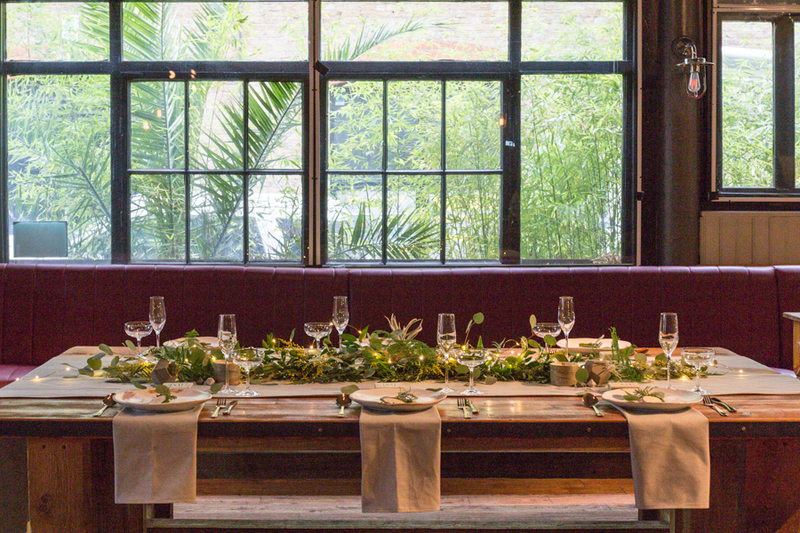 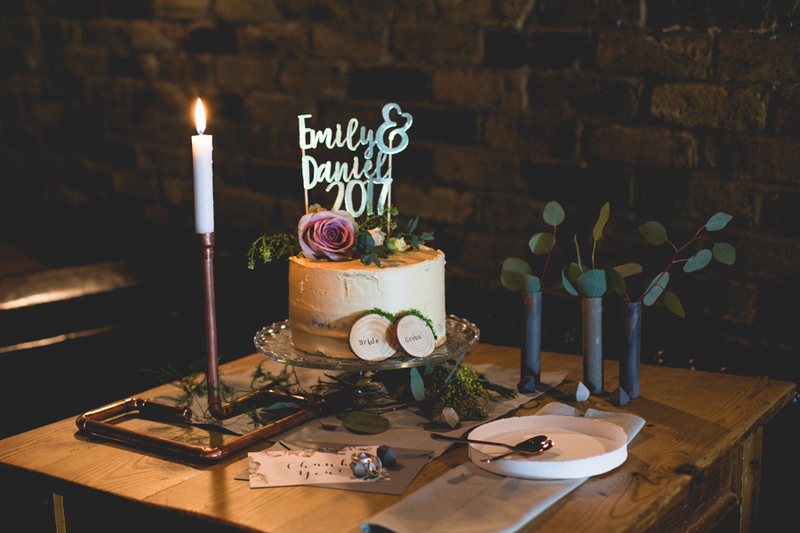 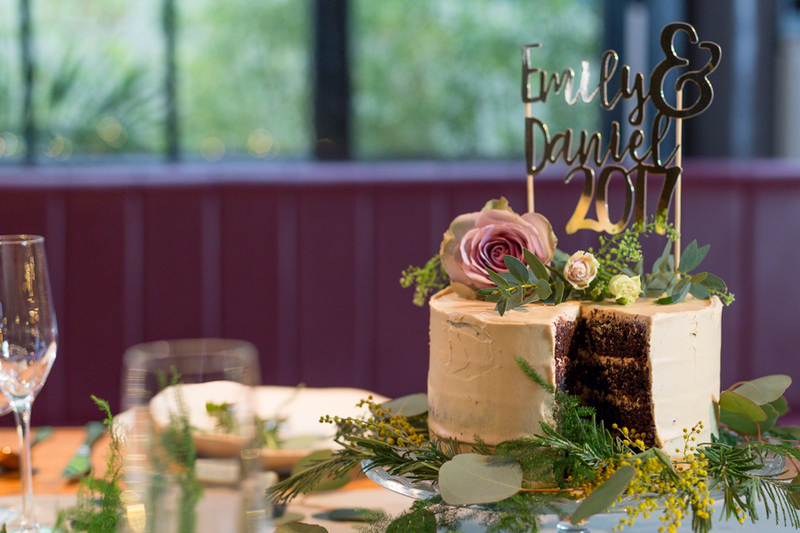 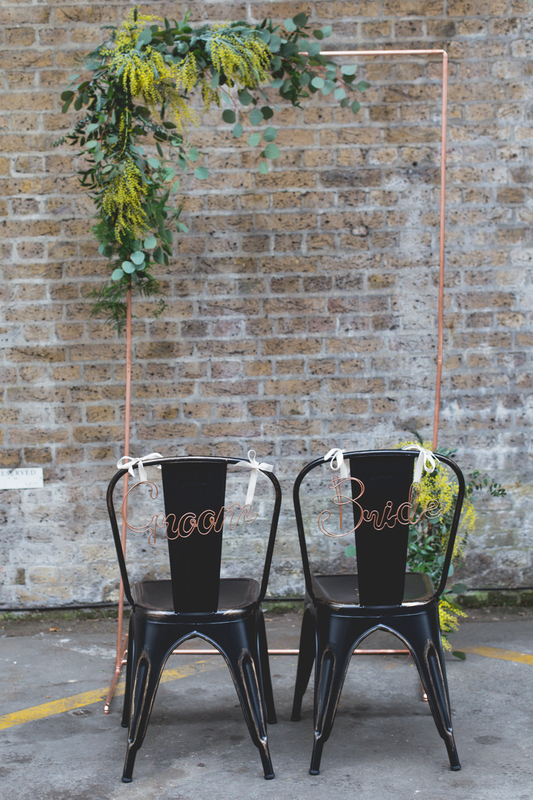 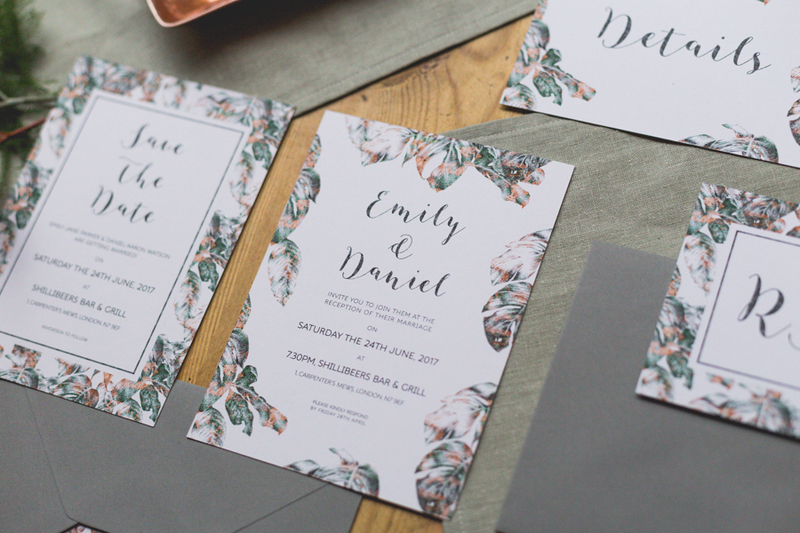 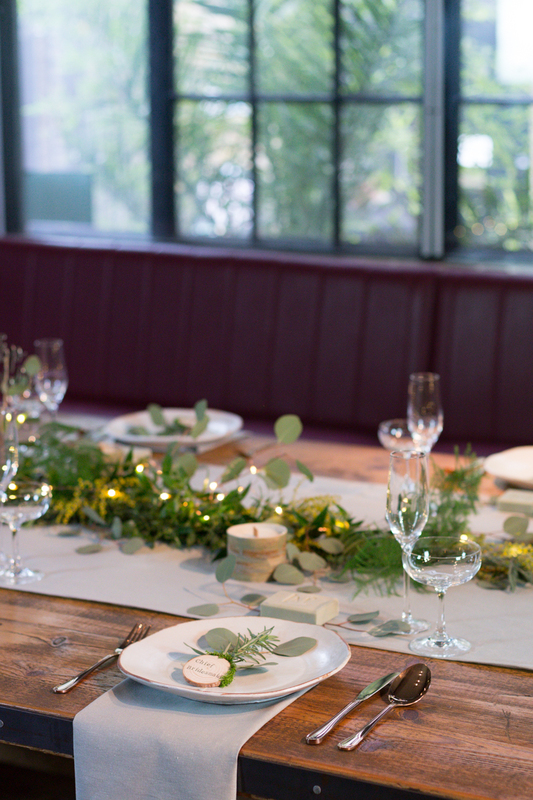 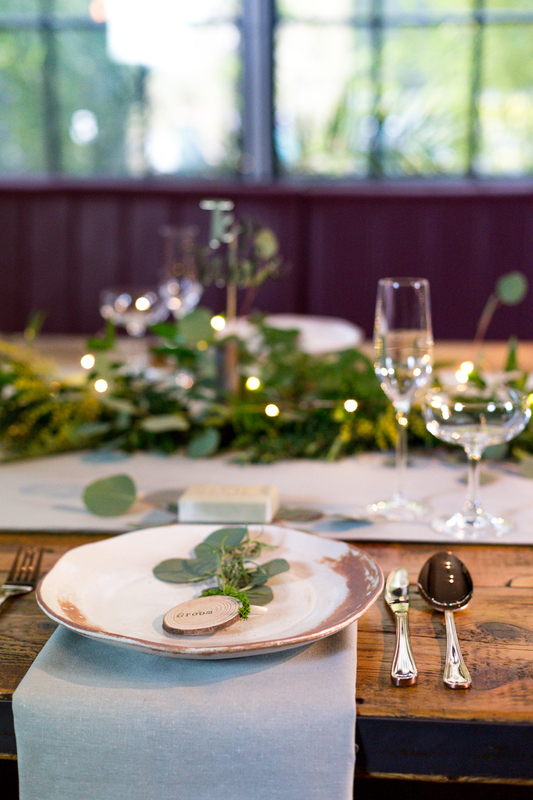 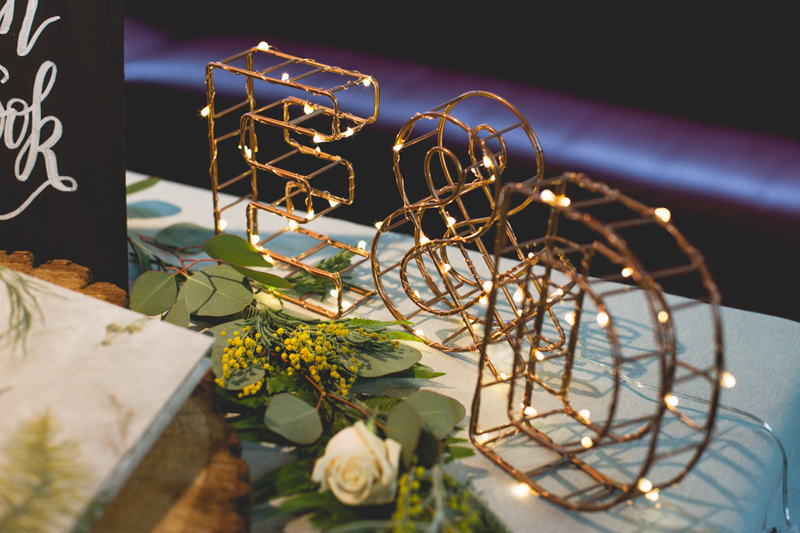 London Local Weddings’ vision for the shoot was to represent the Industrial vibe of London by the choice of venue and use of metallic tones, mixed with complimenting, softer botanical elements to form a strong theme of Industrial & Botanical. 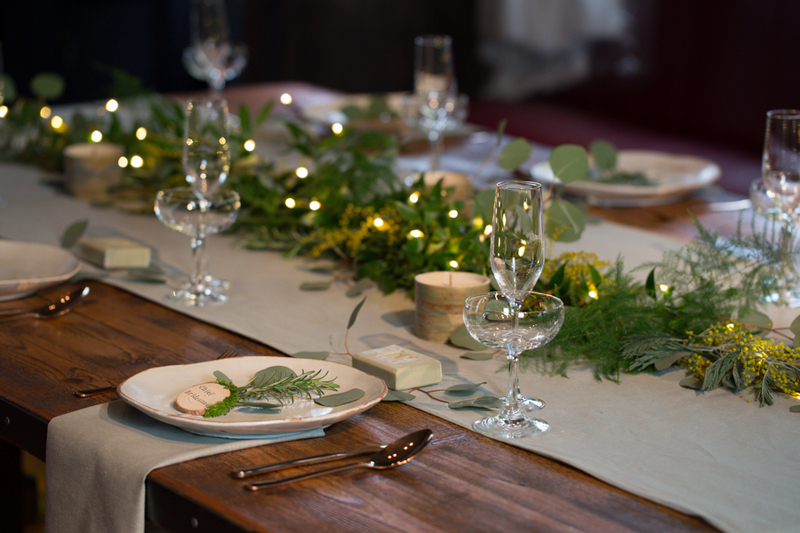 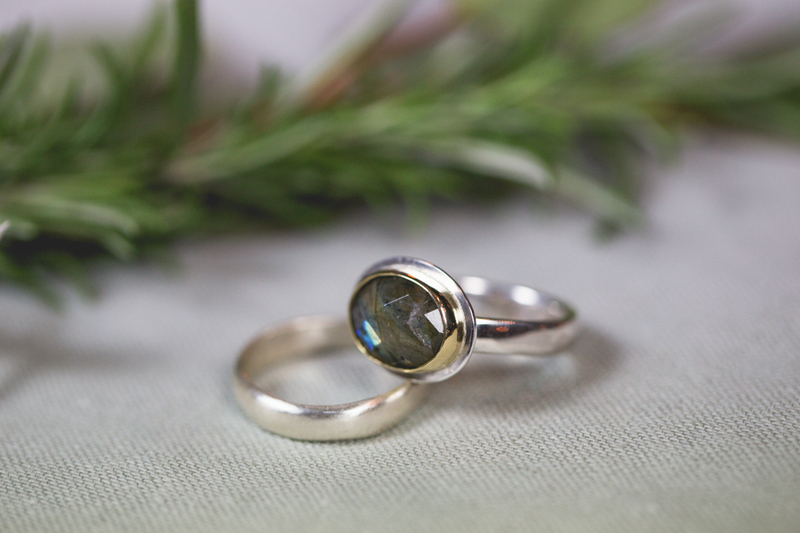 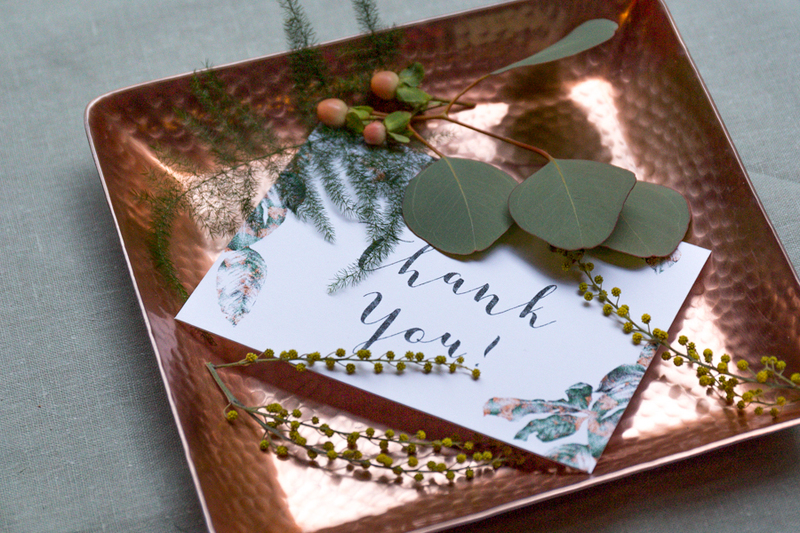 The colours green and copper were chosen to run through the theme and Etsy seller collaborators made products especially for the shoot to fit in with the theme. 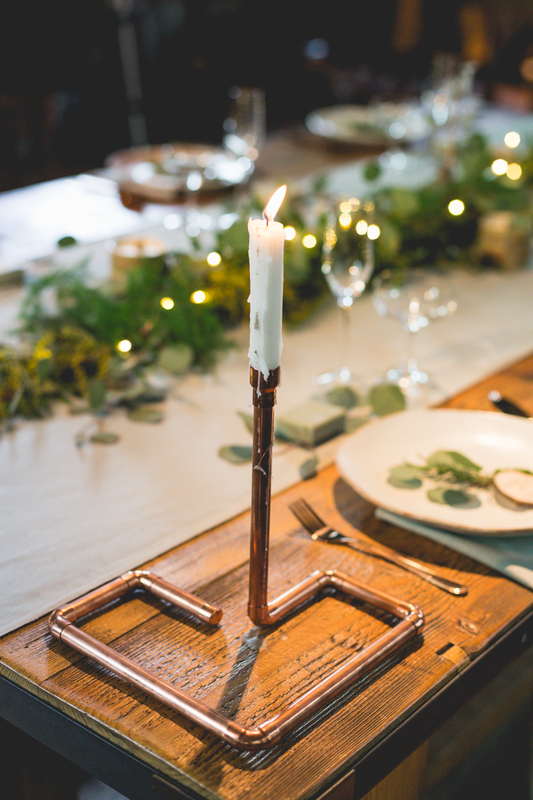 For example, Jane from vKnit handcrafted a metallic-infused green and copper knit tie with complimentary pocket square and cufflinks. 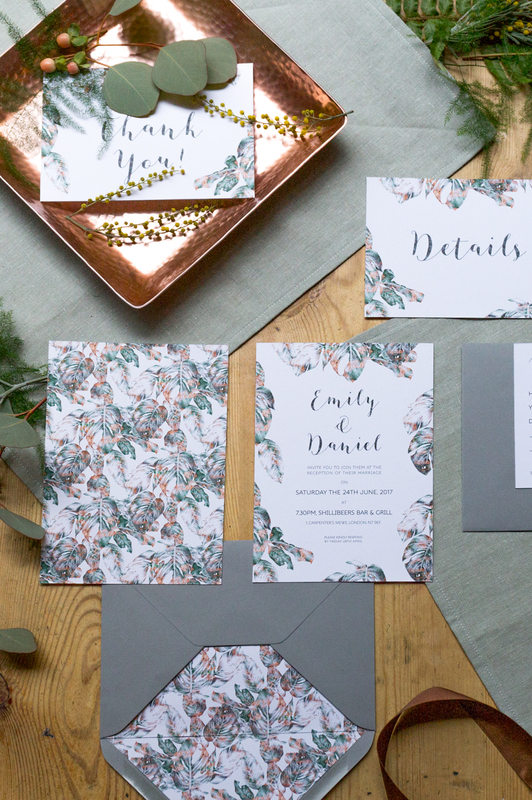 Katrina from The Kat and the Monocle designed a hand drawn leaf print, which was then made into invitations and also men’s accessories and bookbinder Amy from The Idle Bindery developed a way to reproduce her own hand-painted illustrations as unique cover designs for her albums and guestbooks. 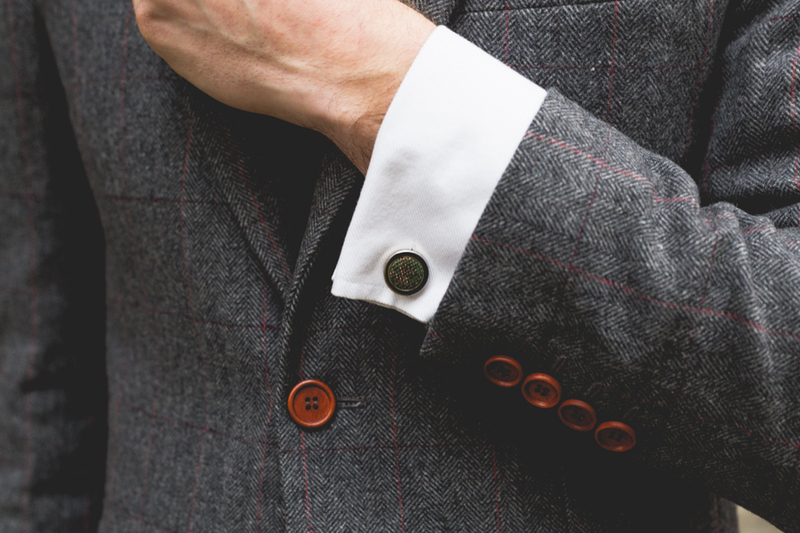 We were also thrilled that several established businesses were equally excited to take part. 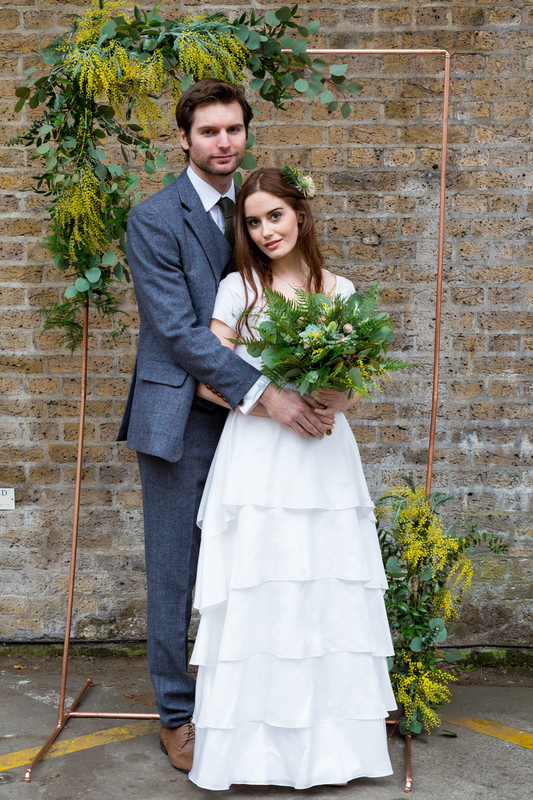 The bride’s wedding dress and groom’s suit, for example, were both loaned to us by Prim and Clover and The Vintage Suit Hire (respectively). 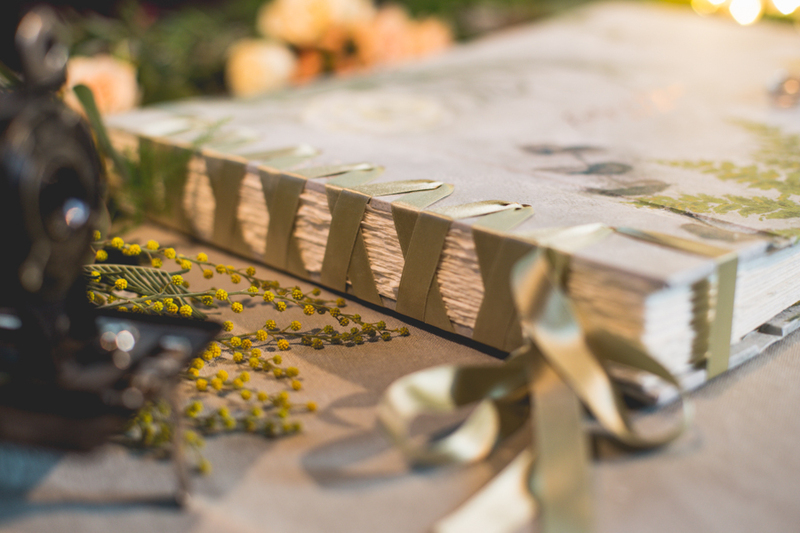 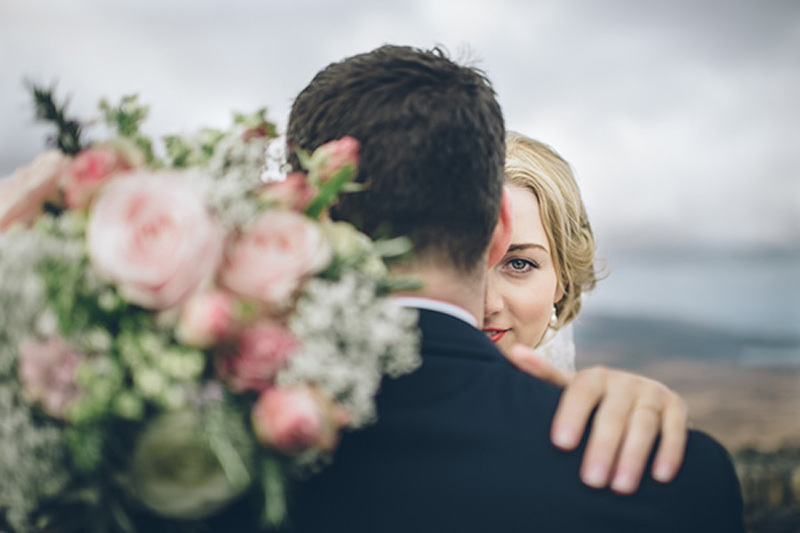 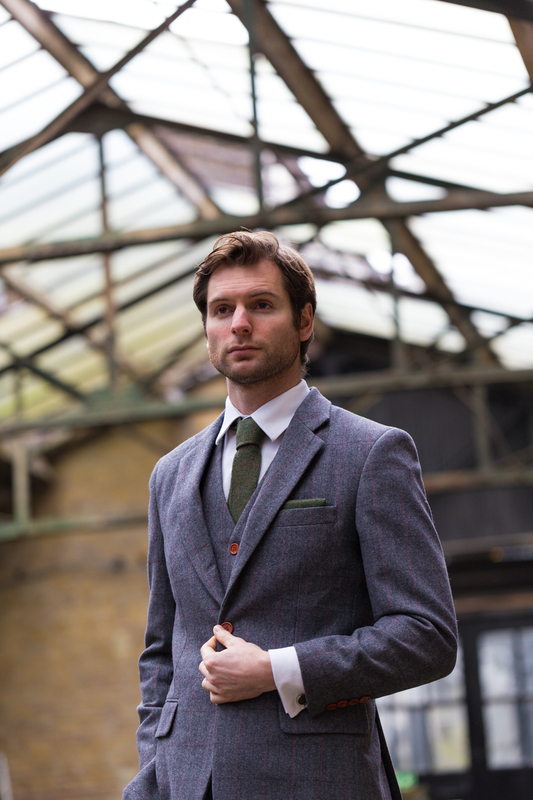 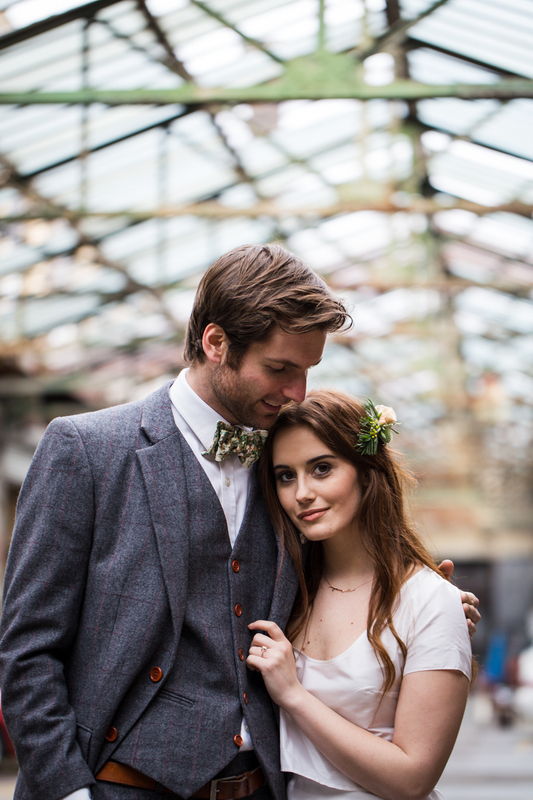 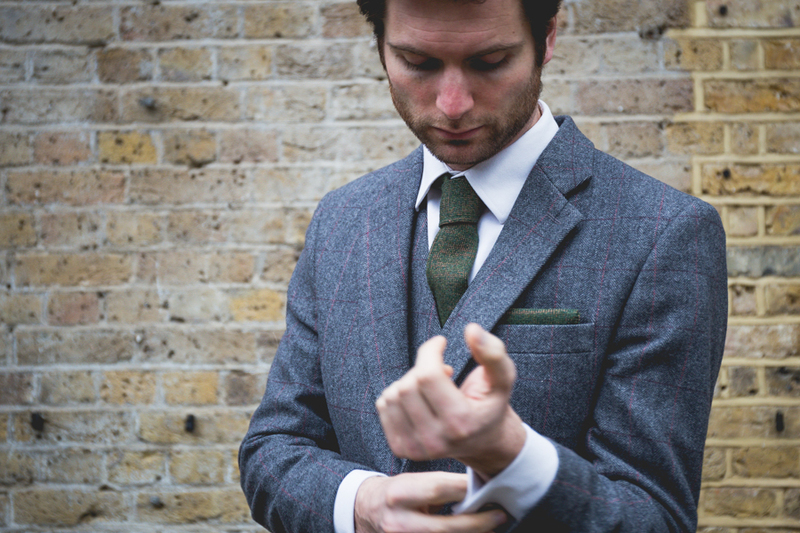 London Local Weddings wanted to use the styled shoot to showcase how their products could be used in a real wedding, as well as inspiring brides and grooms to shop handmade and local. 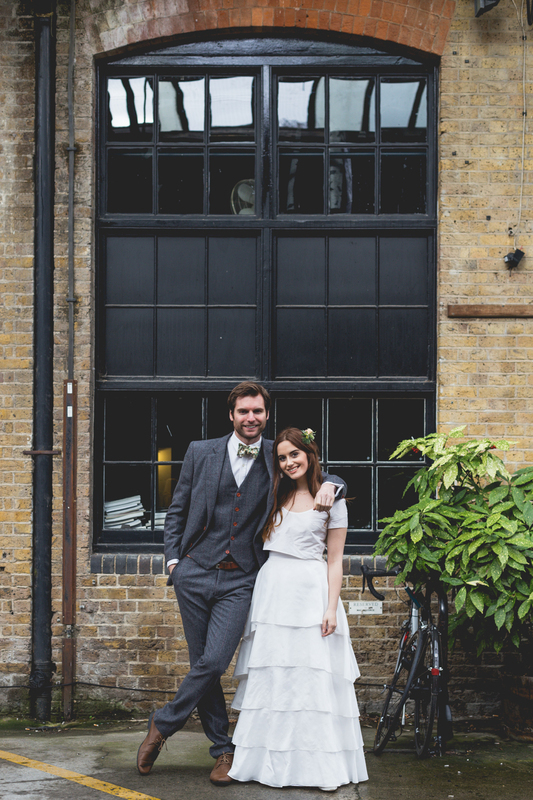 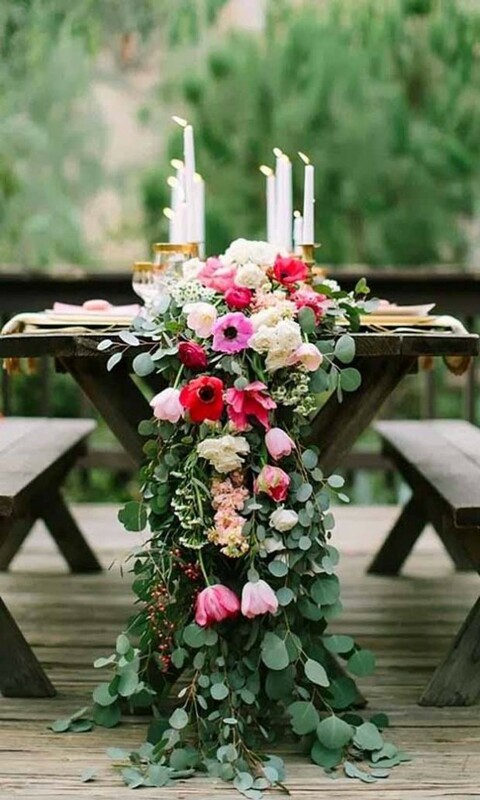 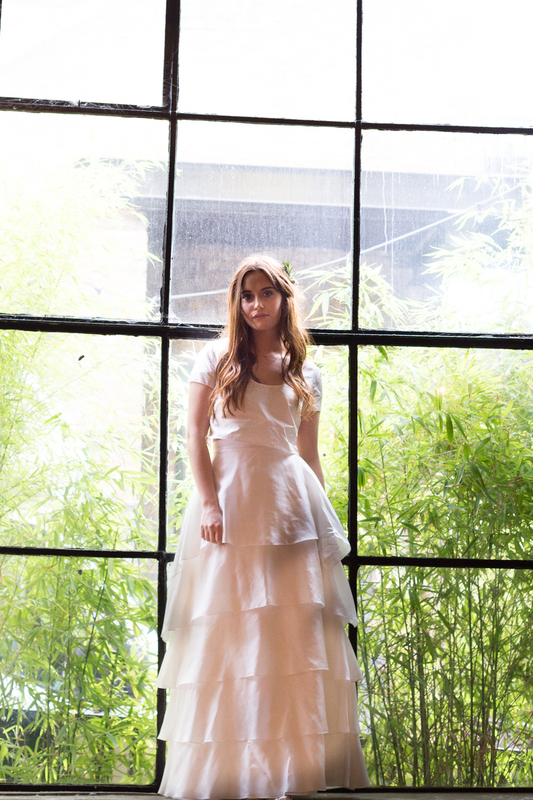 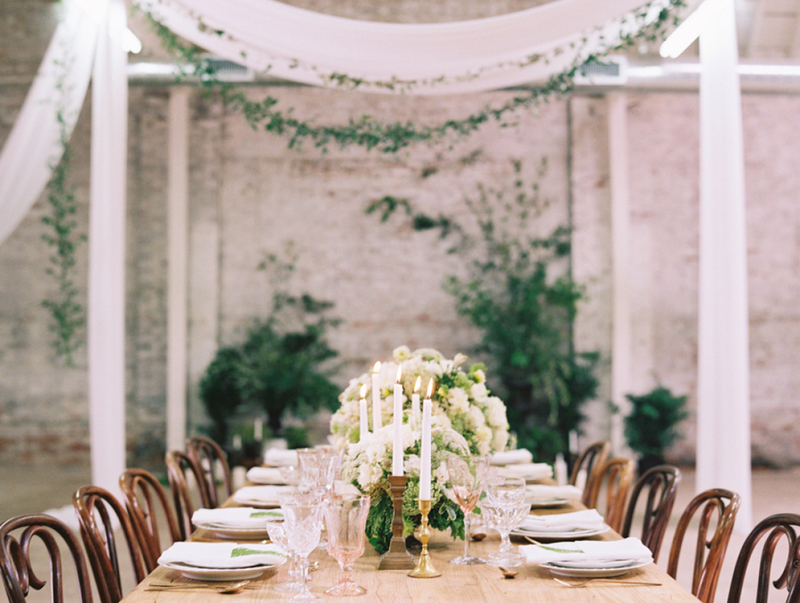 The style of the shoot could easily be recreated for a city wedding. 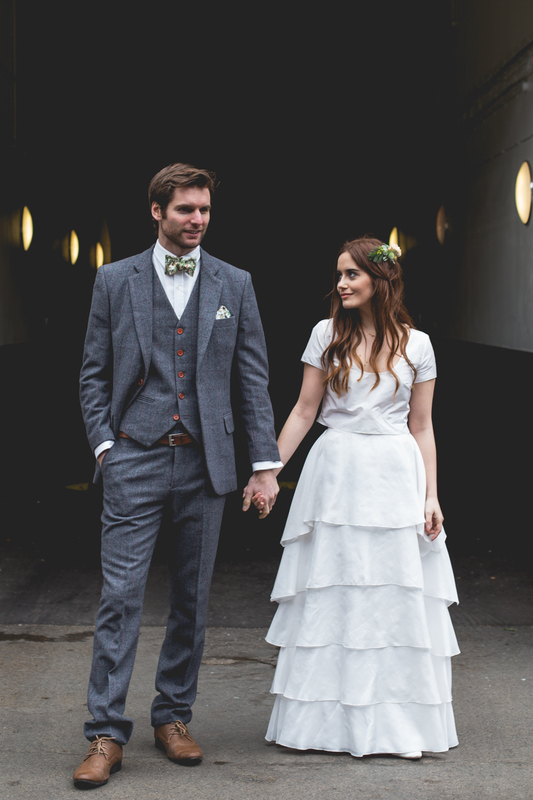 There were such a lot of talented creative people involved with this styled shoot I was honoured to be part of it. 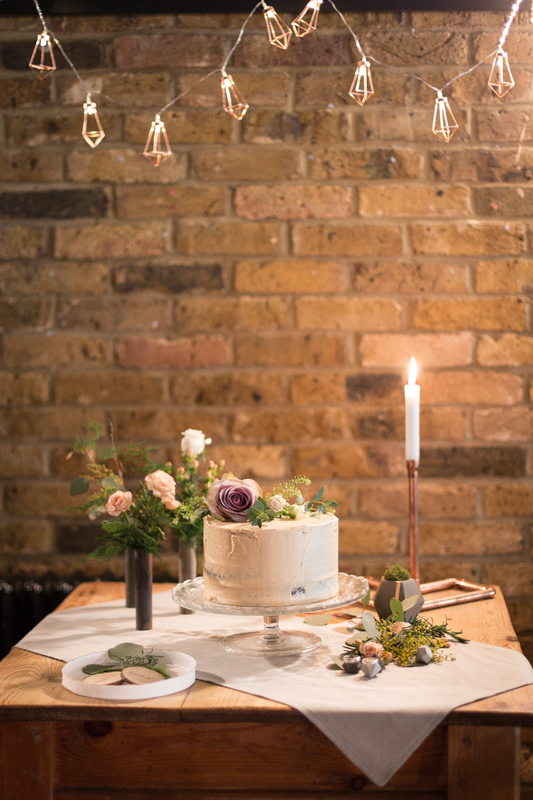 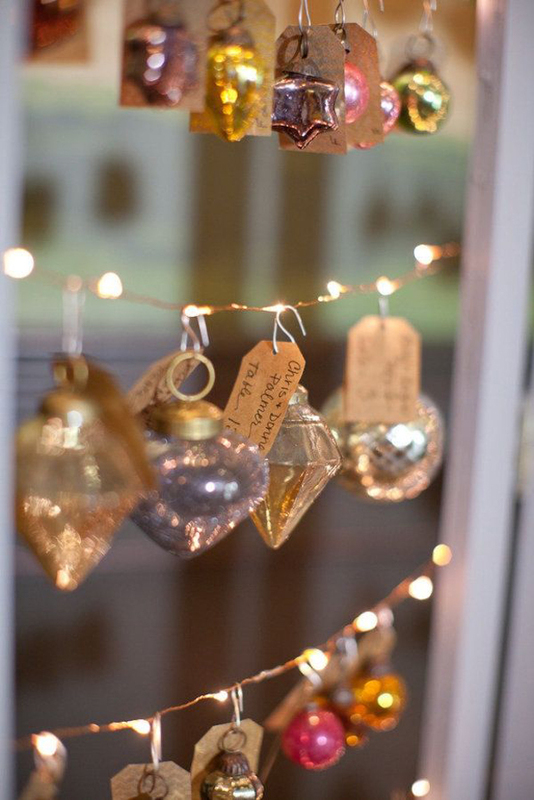 It really was a dream team of suppliers and I highly recommend brides-to-be to check out London Local Weddings for ideas of unique handmade products for your wedding. 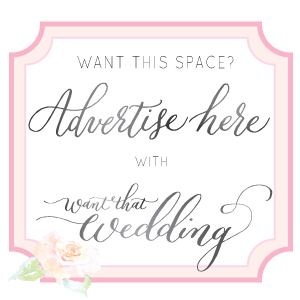 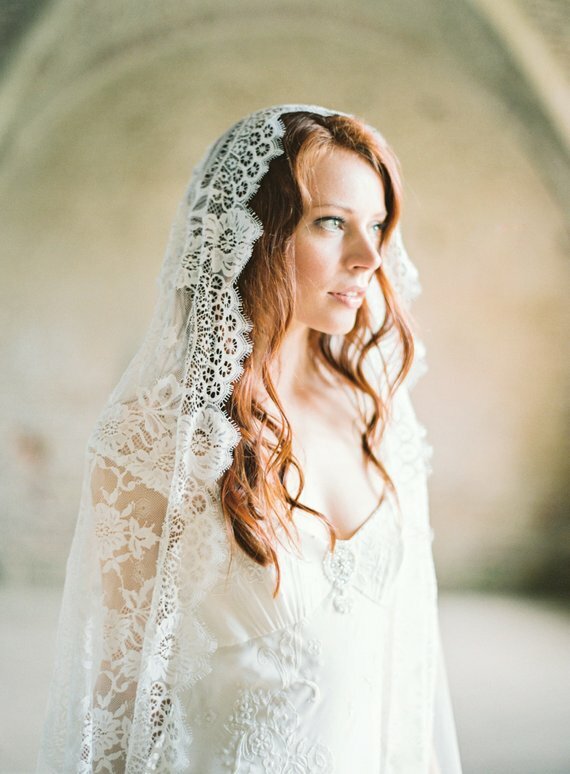 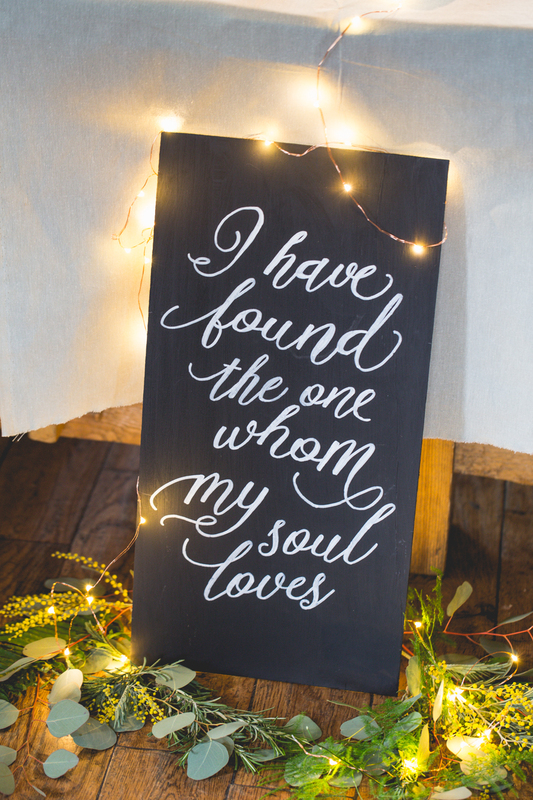 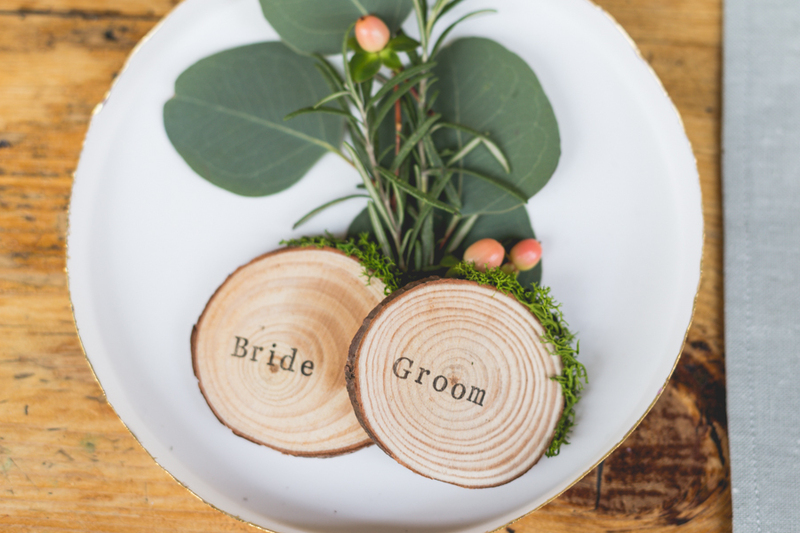 Are you a fellow Etsy wedding addict? 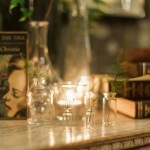 you must check out htis fab post.